Follow 1Voice to receive updates & notifications on sales and offers. Introducing 1 Voice –a Bluetooth enabled beanie which streams high quality music from your portable device. Created by fashion industry veterans who conspired with Bluetooth experts to make available a great new way to enjoy music with your active lifestyle. 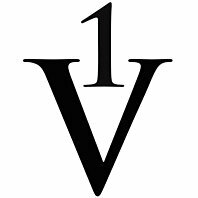 What does 1 Voice offer? Superior audio quality: No more dangling wires. Sound disks and our Bluetooth receivers are built right into the beanie for unbelievable sound quality. Convenience and Comfort: No more ear buds constantly falling out of your ears, or worse giving you an earache. An easy to re-charge battery. Warmth: The beanie is made tightly knit and double layered to keep you toasty on a chilly day. Style: Look good as you enjoy your favorite tunes while going for a run, commuting to work, or hitting the slopes. 1 Voice: Music, Technology and Style. On the go. Get your 1 Voice now and live music better.